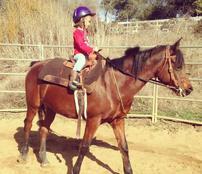 Morning Sun Ranch has been offering top quality riding programs since 1990. We have a variety of school horses to choose from, and we teach beginner to advanced, Western or English. Our first priority is safety and our horses are selected carefully for this purpose. Morning Sun Ranch owner Gina Kindscher oversees the riding school and all operations at Morning Sun Ranch. 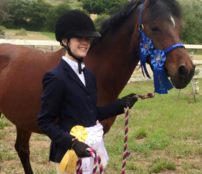 Knowledgeable in a variety of disciplines including Western Pleasure, Trail, Dressage, Jumping and Horsemanship, Gina is a lifetime rider with years of showing experience and 22 years of teaching. 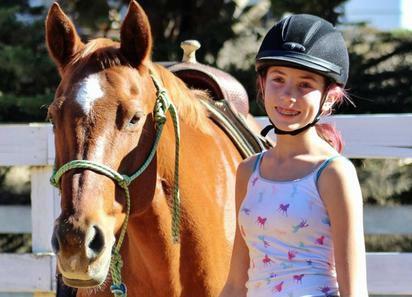 Each Morning Sun Ranch instructor has unique teaching abilities and her own personal style. We all have safety as our number one concern and that will always be our top priority. Because we work together as a team, we have the diversity of experience to help you accomplish your goals whatever they may be. Whether you are a first time rider or a more serious-minded professional, we can help you become a better partner with your horse. Horseback riding offers so much more than other activities your child or you can participate in. It will teach you patience, compassion, love, trust and focus. Physically, it will improve your balance, rhythm, timing and feel. A horse will be your best friend. Morning Sun Ranch is a wonderfully rich environment for you and your whole family to enjoy. We are Vendors for Ocean Grove Charter School! PRICING: Discounts of 5 and 10% are available for 4 and 8 lesson packages. Photos © copyright Morning Sun Ranch, Inc. or others and may not be used without permission.